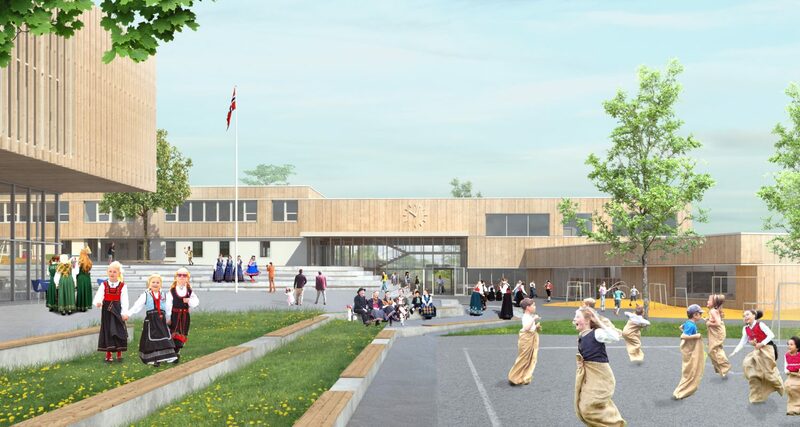 Peab has been commissioned to build a new school and multi-purpose hall in Evenes in northern Norway. The customer is Evenes Municipality and the contract is worth NOK 193 million. The project comprises the construction of a new elementary school and a new multi-purpose hall that includes a pool. Peab will, in addition, renovate existing administration and school buildings. Demolition of the current elementary school and sports arena is also part of the contract. “We are very pleased. This contract means a great deal to us and we appreciate the confidence the customer has shown Peab. Building essential facilities for society is important to a company like Peab, Nordic community builder that we are,” says Gro Skaar Knutsen, Region Manager Peab. The new school and multi-purpose hall will be built in solid wood. The project will begin immediately and completion will take place in stages. The school will be finished in August 2020, the multi-purpose hall will be handed over in June 2021 and the landscaping work will be completed in August 2021. The project will be order registered in the second quarter of 2019.